December's Full Moon (The Cold Moon) in Cancer arrives this Saturday, one day after the Winter Solstice. The energy this weekend is going to ROCK! So this week's Intention Grid is going to be held on the Winter Solstice AND the Cold Full Moon. A double-power punch for transformation. 1. Friday: A 2019 WORD GRID is going to be dedicated with your NAME and your WORD for 2019. 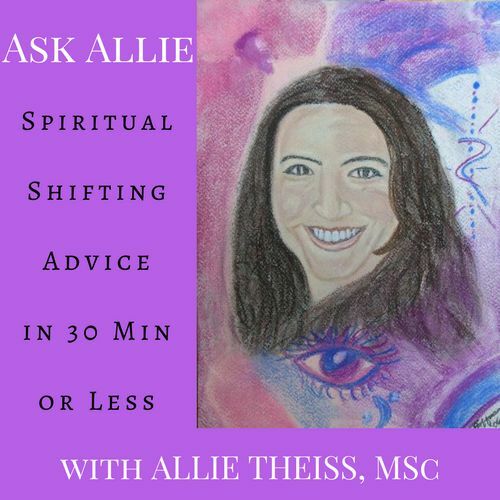 For instance, for me, it will be Allie (Alison) Theiss 2019 Word is Creativity. My name + the word for which I want to be my overall energy for 2019. 2. Saturday: I build the Intention Grid around the Word Grid. Good news: Same $ as my reg Intention Grids. Bad News: I'm only taking a handful of people. So don't dally if you want in on this! Whether you let me help you or you do it yourself - don't neglect the weekend's transformative & cleansing energy. What's an intention? Anything you wish to manifest for you or someone else: new car, more income, attract a soul mate, find the perfect job, encourage good health, and so forth. 1) You send me your intention/s. 2) I write out your name + your intention/s in red ink on a slip of paper. 3) All the intentions are laid out in a grid formation (the formation is whatever I'm told to create) with crystals/stones overlay + candles. 4) I say a few words, clear the energy of the area + balance the collective power of everyone in the grid. When the grid energy is balanced - so is your energy. 5) The intentions and grid stay until the new moon. Email me allietheiss@yahoo.com for an invoice.